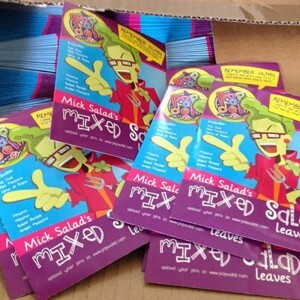 Working on the Popadeli Mick Salad Mixed Salad leaves seed packet. 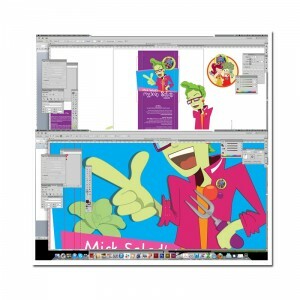 A cross over between the design and the illustration work that I do for many clients. Here’s an example of the work in progress. As you can see I work alongside the layout as there isn’t much point creating a great character that won’t fit the packet, layout, box or sign. But that’s the jigsaw puzzle that you are working with. Looking forward to seeing these seed packets in the flesh after they’ve been printed. Look here and I’ll add a post when I get a sample.